Home Features Club Spotlight: P.O.D.E.R. 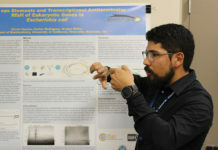 P.O.D.E.R., which stands for “Providing Opportunities, Dreams, and Education in Riverside,” is unique at UCR because it is the only club on campus that supports undocumented students. Before 2008, undocumented students could seek out the Chicano Student Programs, but the staff weren’t always knowledgeable when it came to common issues they faced such as deportation and lack of access to financial aid. “One misconception is that being undocumented is just a Latino/Latina issue, but it really is a world issue,” said Vice President Ingris Aparicio Rios, a third-year sociology major with a concentration in administrative studies. Undocumented students don’t receive federal money for school. P.O.D.E.R. helps students fill out documents like the Dream Act, which is a grant for education provided by California, and learn about the legality of deportation. Both Rios and Aline Mata Vazquez, a first-year biology major, agreed that having a support system of people who are in the same situation as you is one of best things about being in P.O.D.E.R. The terms ‘illegals’ and ‘aliens’ exist solely to diminish us. 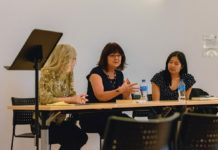 When asked about the difference between a documented and undocumented student in daily life, Rios explained that you may have to be more careful as an undocumented student. As an example, she brought up driving because you never know if being pulled over means a police officer will find out that you’re undocumented. While a speeding ticket may be of little consequence to someone else, an undocumented person may face a judge who is no longer willing to help them obtain papers because they no longer have a “clean” record. Undocumented students may feel even more pressure to perform well in school to prove that they “deserve” their higher education. But everyone deserves a higher education, which is the focus of P.O.D.E.R.’s “Dreaming of a Higher Education” fall conference, which explains the process of getting into a university for undocumented high school and community college students. The goal of Immigrant Awareness Week, which runs from Monday, Feb. 13 to Thursday, Feb. 16, is to put a “face” to what being undocumented looks like and bring awareness to the struggles that come with it. 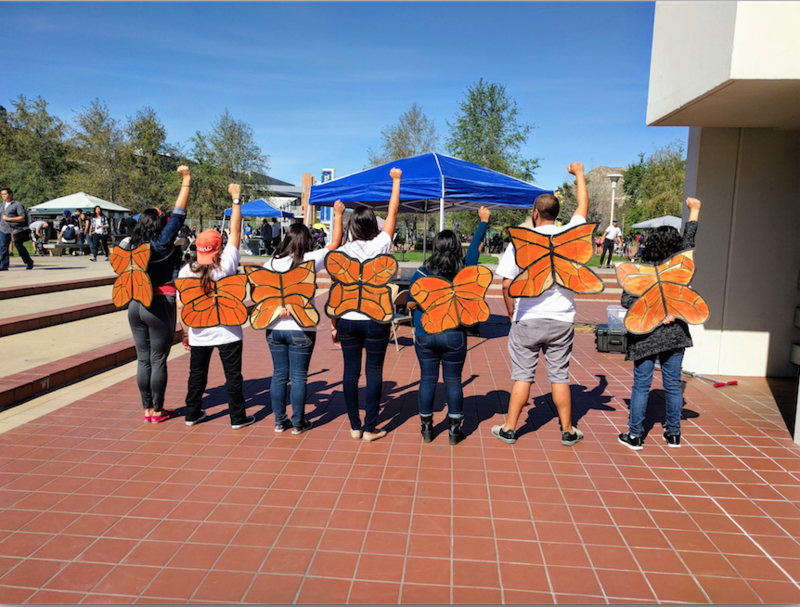 With their upcoming event, “Coming Out of the Shadows,” which will take place on Wednesday, Feb. 15 at the Bell Tower, UCR students will be given the chance to come out as undocumented. Over 300 students at UCR are undocumented. Fear over how people will react to their status as undocumented is one of the reasons people may keep it a secret. Now Rios proudly wears her undocumented status, but that wasn’t always the case due to the negative connotation associated with it. “The terms ‘illegals’ and ‘aliens’ exist solely to diminish us,” stated Rios. One of the scariest things for Rios in today’s political climate is seeing how much hatred some U.S. citizens have toward undocumented people. Rather than seeing a person, they see a label, and when that happens, it’s harder to connect with someone different from you. Another event Rios is excited for is “My (Underground) American Dream,” which is named after a book about undocumented immigrants by Julissa Arce and will be on Thursday, Feb.16, in HUB 355 from 5-8:30 p.m. Attendees will hear from Arce, who made $40,000 working on Wall Street while using a fake social identity number. “(Arce) is not only an undocumented immigrant who defied the odds by making it big time, but she is also someone who is an activist for the immigrant community,” Rios explained. The concept Rios claimed she would most like others to realize about undocumented people is that “each person has their own narrative.” The undocumented students here don’t all fit in one box. But in order to stand up for any fellow human being, you need to be educated on where they come from and what they face. 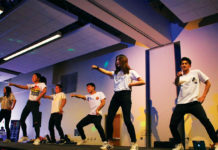 A great way to start learning about the undocumented community is through events hosted on campus like those available during Immigrant Awareness Week. Vazquez hopes that the events next week will bring more empathy toward the undocumented community at UCR. P.O.D.E.R. meets Mondays, 5-6 p.m., in HUB 265.